Gone are the times when vegetarians would only be offered mushroom risotto at restaurants. Now there is a new dish that while it won't actually replace a beef steak it is certainly tasty. 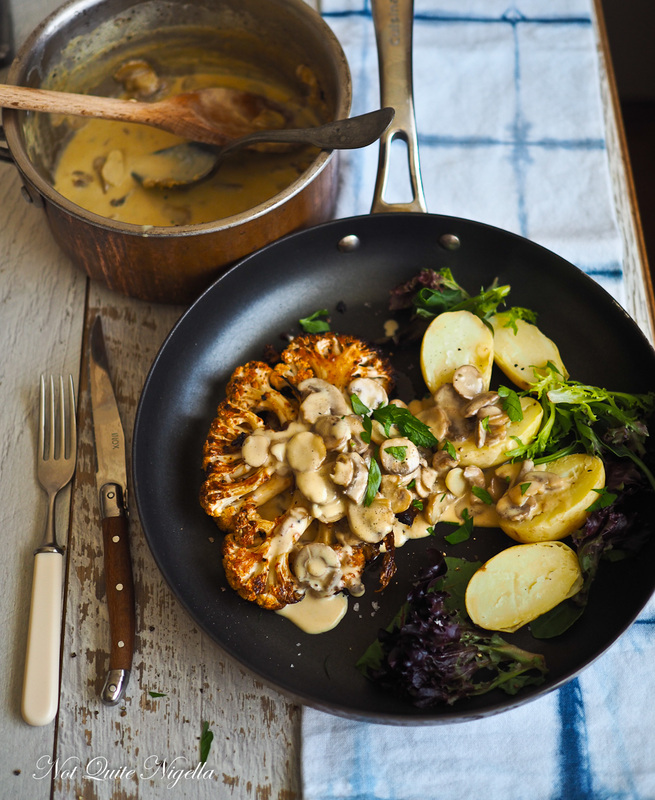 Think a spiced, caramelised cauliflower steak topped with creamy mushroom sauce! I'm a bit obsessed with cauliflower. Whenever I see it on sale for a good price I buy it, cut it up into florets and roast it until it is caramelised. I don't actually like it when it is still firm or with a bite to it, to me it's best when it's tender and sweet from the oven's heat. I was even going to invite vegetarian Nina over for dinner to try this but she and Mr NQN have been having a situation. You see she, Garth and Mr NQN play an augmented reality game called Ingress (kind of like Pokemon Go but not really). Garth and Mr NQN are on one team and Nina is on the other. Which is apparently quite a Nina move because she likes to be contrary. This has led to some what I believe is lighthearted ribbing but then I noticed Mr NQN taking it very seriously, even to the point of paranoia. Nina and Garth came over for New Year's Eve and shortly afterwards we lost our television remote control. I am sure it is somewhere here but we can't find it. "I bet Nina has it!" said Mr NQN one night after turning the lounge room upside down. "Why would she take it?" I responded laughing at his sudden paranoia. "Okay I'll ask her," I placated him. "No I don't have it. But I'm in his head. My work is done," she said laughing. 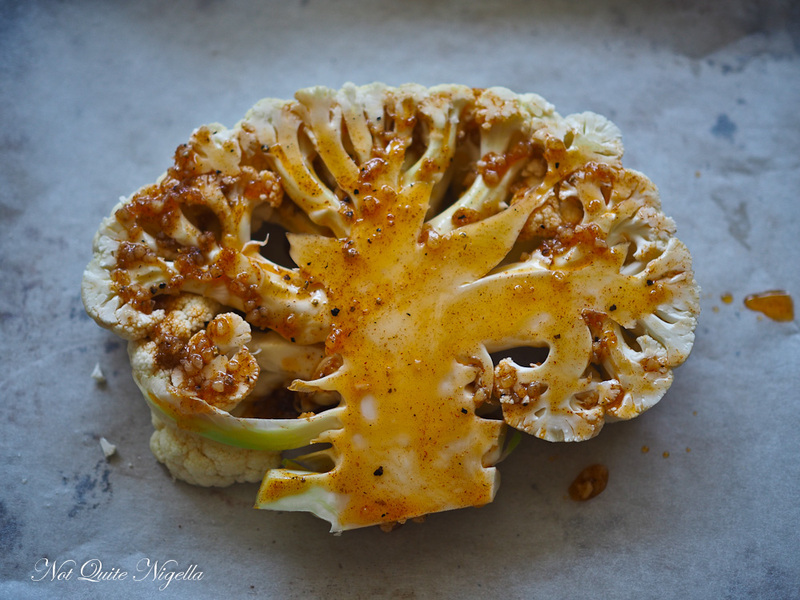 So tell me Dear Reader, have you ever tried a cauliflower steak? Has something ever made you paranoid? Step 1 - Preheat oven to 20C/400F and line 1-2 baking trays with parchment. Remove the leaves and trim the core a little but you want the core intact. 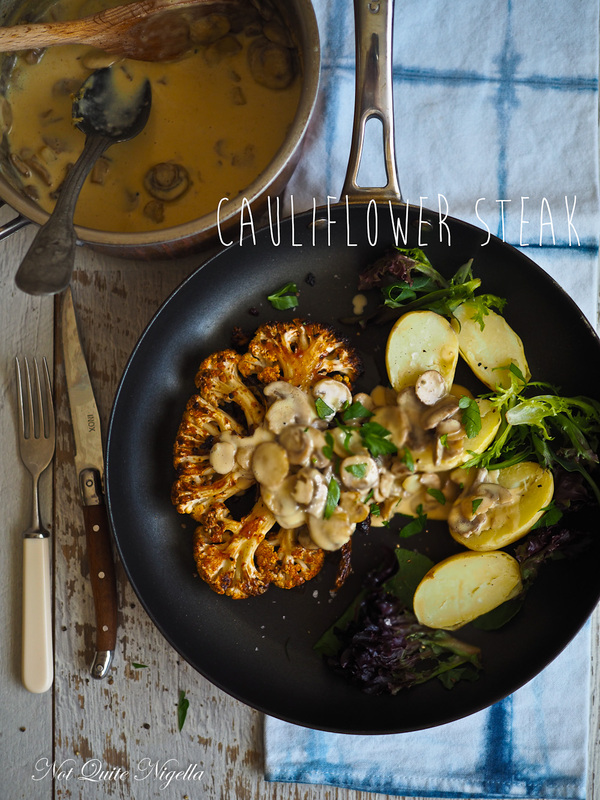 Slice the cauliflower vertically to make thick steaks. Place on the trays and brush on both sides with the marinade. Bake for 15 minutes and then turn over and brush again and bake for another 15 minutes. If you have any loose florets you can roast them alongside the steaks (just drizzle with a little oil and roast for less time). They make a great snack! Step 2 - While it is cooking, steam potatoes and make the mushroom sauce. 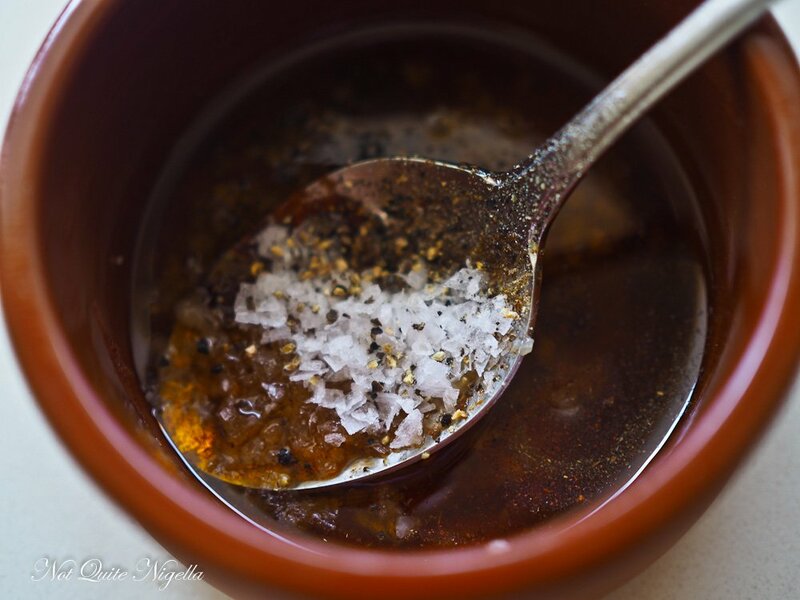 Place a medium sized saucepan on medium to high heat and add the oil. 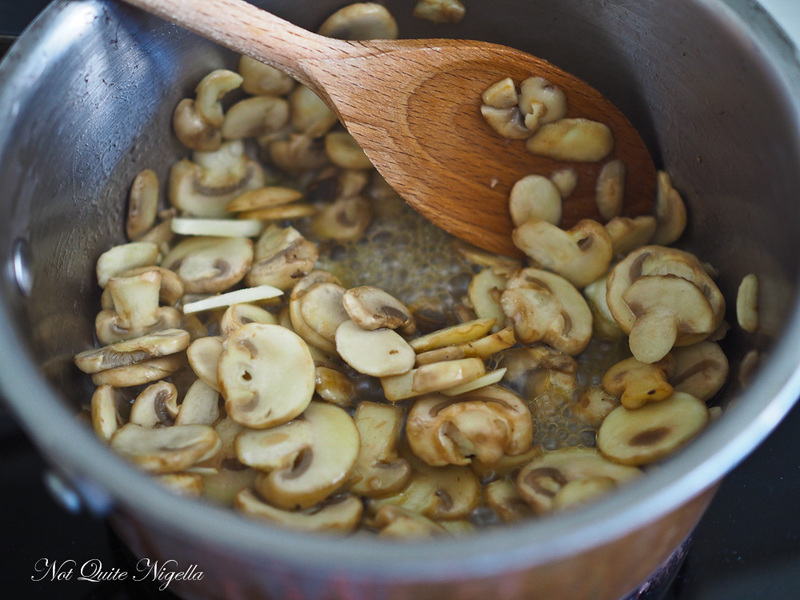 Add the sliced mushrooms and saute until water is released. Add the garlic and cream and bring to a boil and simmer for 6-8 minutes until reduced by a third or a half. Season with salt and pepper and allow to cool and thicken. 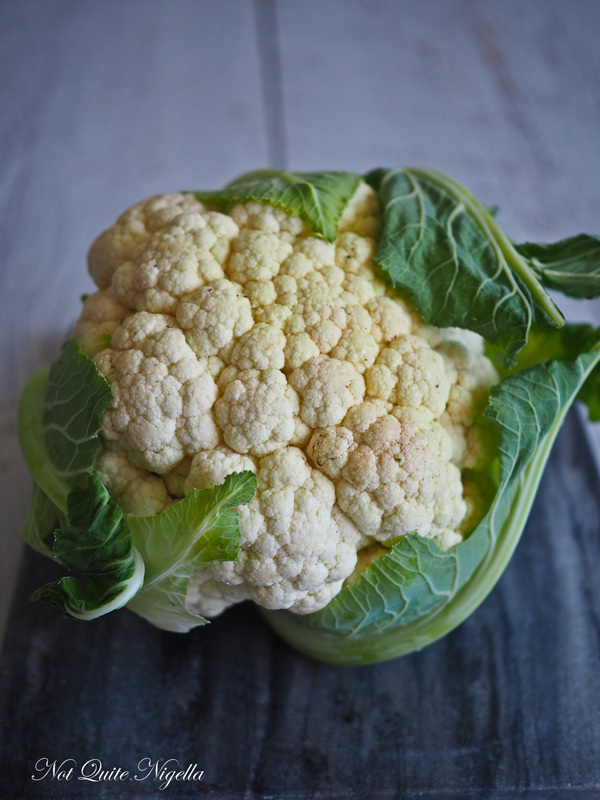 Spoon this over the cauliflower steaks and potatoes. recipeTry This Amazing Mushroom "Steak" & Mash Dinner! recipeGoing Crazy For These Sweet Potato Nachos! recipeAmazing Halloumi Tapioca Vegetarian Burgers! recipeKFC Or Crispy Korean "Fried" Cauliflower! recipe Try This Amazing Mushroom "Steak" & Mash Dinner! recipe Going Crazy For These Sweet Potato Nachos! recipe Amazing Halloumi Tapioca Vegetarian Burgers! recipe KFC Or Crispy Korean "Fried" Cauliflower!